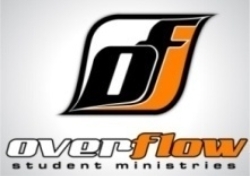 The Overflow Student Ministry exists for Three Primary Reasons: 1. CONNECT- Overflow Ministries believes that life change happens through the power of the gospel. We also also believe that realationships are an avenue for the gospel. It is our aim to connect students through Christ-centered relationships with other students and with caring adults who will motivate them in their relationship with Christ. 2. Grow- In all ways- intellectually, physically, and spiritually. It is our hope to produce followers of Jesus by deepening their knowledge of God through Bible study, memorization and meditation. 3. Give- Jesus came not to be served, but to serve. Our hope is to rise up a generation of servants. Students more concerned with giving than getting and more focused on serving than being served. What is your Favorite Overflow Activity?